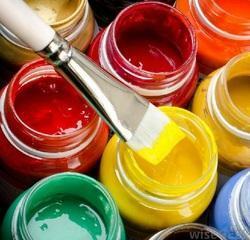 Creating a niche of Polyurethane Paint such as Coal Tar Paint, Aluminum Paint, Epoxy Paint, Waterproof Coating Paint, Thermoplastic Acrylic Paint and Acrylic Emulsion Paint at its best, with utmost quality. We are a paramount organization that is engaged in providing Aluminum Paint that is used to coat staircase railing & doors. Our given aluminum paint is precisely processed by our skilled professionals in compliance with international quality standards using best quality chemicals. Our aluminum paint is acclaimed in the market for its long lasting shine. 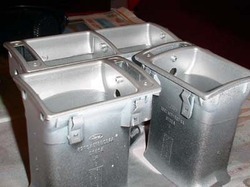 Also, the offered aluminum paint can be availed from us at reasonable prices. With our firm commitment to quality, we are involved in offering a quality range of Thermoplastic Acrylic Paint to meet the demands of our customers. These Thermoplastic Acrylic Paint are accurate in composition and ensure long lasting effect. These products are easy to mix and do not need much maintenance. In addition, we are offering these products at reasonable rates. Our respectable clients can avail from us an astonishing assortment of Polyurethane Paint. This paint is easy to apply and offer excellent finishing after applying & available in striking colors. 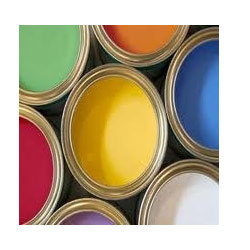 Offered paint is processed in our advance processing unit by using top quality chemicals as per the set standards. Our quality controllers' check this paints on various defined parameters in order to assure it quality at customer’s end. Looking for Polyurethane Paint ?